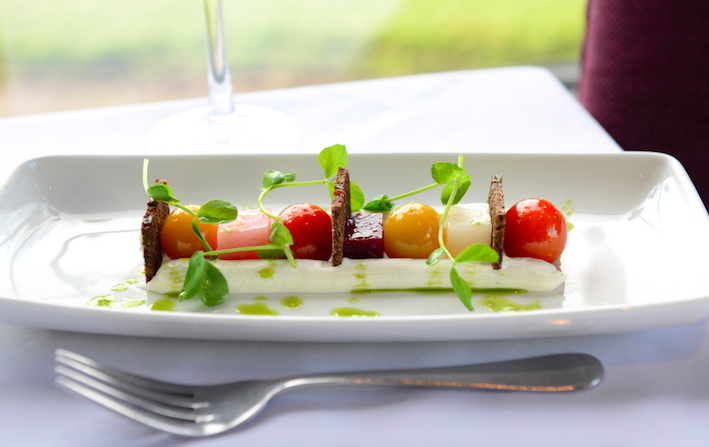 With rosette-awarded food, friendly service and lovely views over the common, The Library Restaurant is everything that a restaurant in the country should be. Our restaurant menus change seasonally to showcase the very best of British ingredients - all sourced as locally as possible. 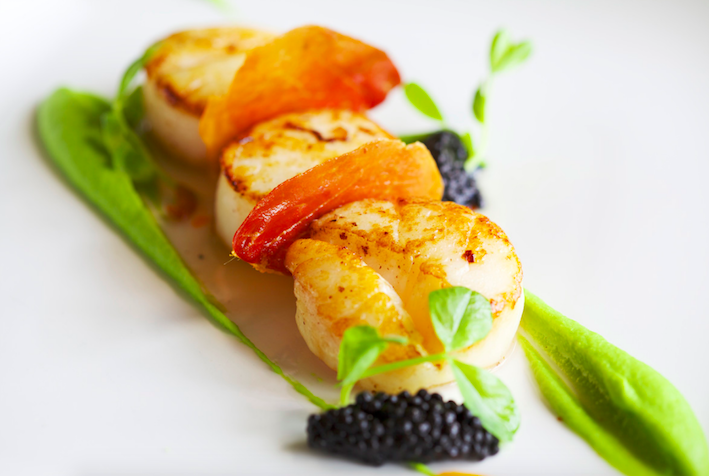 The result is good quality food with a Great British flair that fuels any excuse to dine out! The Library Restaurant is open for breakfast and dinner daily – also serving a traditional Roast on Sundays afternoons. Alternatively you can enjoy lunch or afternoon tea in The Bear Bar, however this is only on a walk-in basis no reservations needed. Feeling peckish? 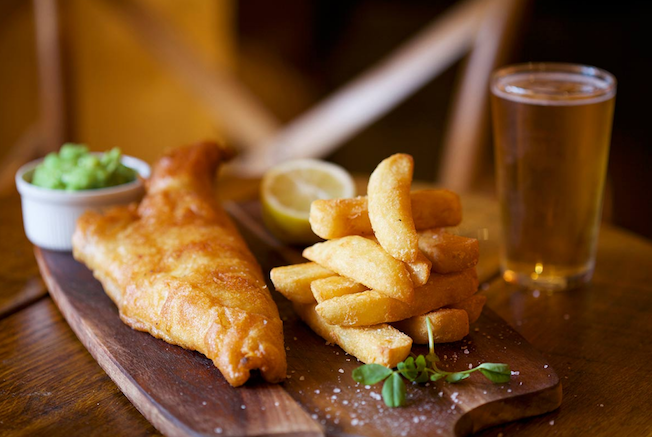 Join us for a bite to eat at The Bear! You’ll find us perched on top of Rodborough Common surrounded by 300 acres of beautiful National Trust land. Whether you’re looking for a relaxed bite to eat or something a little more refined, we have a dining space to suit any occasion with delicious menus to match! This was our 2nd visit. We dined in the Library Restaurant & the food was excellent with generous portions. Lovely views towards Rodborough Common in one direction. We really enjoyed our mother's day lunch, there was a mistake on the bill but very quickly sorted, as were the roast potatoes missing from my husbands plate, all sorted with no fuss. Great service and food. Enjoyable meal sat by the window, staff pleasant and attentive. Would recommend for Sunday lunch definitely. Nice and quiet restaurant. The food is good and good variaty of wine options. The room was spotless, shower wonderful, staff lovely, breakfast very nice, the steak for dinner, not brilliant, but that couldn't be helped, butchers cant guarantee the tenderness of any steak, very nice accompaniments though. Husband really enjoyed his burger and the Knickerbocker Glory!! The Common Room was a nice place to have dinner, as it enabled the dog to join us :) Hotel very cosy and warm. The g and t I had when we arrived was the best I have ever had! Excellent service team, good ambience, great food. We can’t wait to come back! You don’t have a loyalty scheme do you? Afternoon tea was delicious thank you. The lady who served us was very Prossional, very friendly & we enjoyed her company. She did make our lunch very enjoyable . However the food was well below average! all out the freezer and fried. Nothing fresh. Bread stale . Chips from the freezer , even though described as triple cooked, haddock also not fresh. . I ordered what should have been a Caesar  salad, , should be with fresh chicken & anchovies . There were no anchovies &  the chicken seemed like sliced cold turkey breast, very dry. light tempura  Calamari was not , it was deep  fried battered squid rings. Tough and heavy batter. What a shame . We decide not to order a puddings as could of been the same . Not fresh, heavy etc. The cold water was good & again the lady that serviced us. However when we first got to restaurant nobody was around to see us to our table, or recognise our booking. Had to search for staff. We booked a festive lunch meal for the final day that the Bear was offering this. We discovered that we were the only diners - the 4 of us and we were put in a private room with our own waitress. All was just perfect: fabulous meal, impeccable service and thoughtful touch to accommodate us in the private room which was also beautifully decorated for Christmas. Many thanks! Once again, a first-rate stay at the Bear. The room was cosy and very comfortable and the food delicious and well presented. All of the staff are very friendly and helpful and create a good atmosphere in the hotel. A lovely evening out to celebrate our third anniversary of moving to Gloucestershire. The service in particular was first class. We've dined at The Bear on a few occasions now and have never been disappointed. We had a lovely evening at The Bear. We were celebrating a joint 20th wedding anniversary. Both couples were married at The Bear. We received a very warm welcome and a complimentary glass of prosecco which was much appreciated. The food was very nice and the service excellent. A very good experience. Service for dinner could be improved. Would expect a bottle of wine to be opened, offer to taste then poured. Had a great anniversary meal here with lovely host and beautiful New Zealand wine and the most delicious fish main. I had to give my compliments to the chef. The host / head waitress gave us a nice surprise with the dessert to help celebrate our anniversary. A Sunday lunch was booked to celebrate my wife's birthday, my son drove up for Cornwall to join us. Unfortunately, the Bear suffered a leak in the restaurant so we were denied the white tablecloth lunch and put in a room adjacent to the bar - no tablecloths, etc. The service was appalling. We had to go find a waiter to place our order. After 20 minutes a waiter put some butter on the table but the bread did not appear for a further 10 minutes along with the first course..  We all had the roast beef for the main course which appeared half an hour later. The beef was a strange cut full of sinew and gristle and very difficult to cut. The Yorkshire puddings were overcooked and burnt at the top. All the vegetables were virtually uncooked, although we all prefer our veg "al dente", it would have been nice if they been put in boiling water/steam for more than a few seconds. We advised the assistant manager both during the meal and afterwards and she removed the main meals from the bill. Even though  we live locally, we will not be going back and would certainly not recommend the Bear's restaurant to anyone else. The dinner in the Terrace Restaurant lacked atmosphere - playing the same music as in the bar might help. I rated Value for Money as average - how can anyone justify charging £8 for a slice of treacle tart, or £6 for a bowl of soup? However, the service from everyone was excellent, and the room was spotless. But why was a pair of trousers left in the wardrobe when we arrived? Does nobody inspect the room? Evening meal was ok. Breakfast was not good at all. We would have liked a better choice of reasonably priced European white wines.